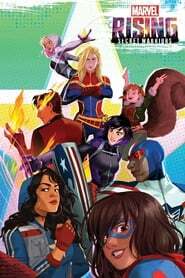 When a threat no one could have expected bears down on the Marvel Universe, this ragtag, untrained band of teens have no choice but to rise together and prove to the world that sometimes the difference between a ‘hero’ and ‘misfit’ is just in the name. Forced into a deadly cat-and-mouse game, a disgraced mixed martial arts fighter is hunted through the jungles of Southeast Asia. A man takes over a TV station and holds a number of hostages as a political platform to awaken humanity, instead of money.